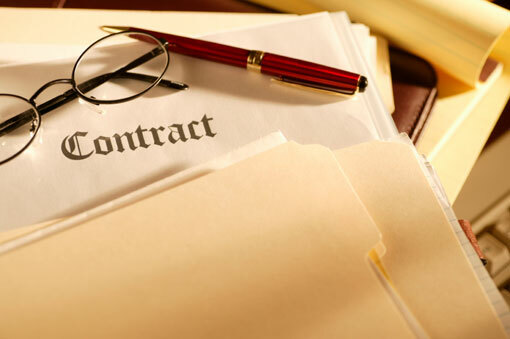 Contracts have been a key component of legal transactions for hundreds of years. Many lawyers, including me, began our careers reading Carlill v. Carbolic Smoke Ball Company and learning the tenets of contract law – offer, acceptance and consideration. For some lawyers, the process of drafting and reviewing contracts has remained largely the same since the days of Carbolic Smoke Ball. These lawyers begin working on matters by trying to remember a past file where they drafted a similar document, asking a colleague for sample agreements, or even reviewing first principles. Over the years many, within and outside of the legal profession, have come to recognize that taking an ad hoc approach to contracts is suboptimal. Not only is it inefficient, it can lead to clients receiving varying quality of responses and work product from different lawyers within the same organization. With clients expecting more from their law firms and the emergence of new technologies, the process of drafting and reviewing contracts has evolved. The standardization of contract language began in earnest in the 1990s and early 2000s when many law firms created model agreements. Unlike sample documents pulled from past matters, which may vary in quality, a model is reviewed and approved by senior lawyers to establish an agreed upon standard. Models tend to include best-case language that differs depending on the party (for instance, vendor or purchaser) the lawyer represents. By developing models, law firms could take a consistent approach to each type of contract. Standardization also helped highlight boilerplate clauses that tend to not need negotiation, enabling lawyers to focus on more contentious and deal-specific provisions. While model agreements promote consistency and efficiency, lawyers still spend substantial time creating first drafts and conducting side-by-side reviews that compare key clauses in their deal documents to those in their model agreement. Many law firms also have a difficult time maintaining and updating their vast collection of model agreements. So, after much initial hoopla, many model document collections start to languish. As interest in Lean Six Sigma and other process improvement techniques started to increase, a number of law firms began applying these approaches to contract work. Consultants or in-house experts would lead a group of lawyers through a typical transaction, mapping out the various steps to identify and try to eliminate inefficiencies, while documenting a more streamlined process in a checklist or project plan template. Checklists setting out the key steps in a particular transaction are then used to instruct junior lawyers and ensure that important steps are not missed. Project plan templates outline a matter’s milestones, staffing, and time estimates – information that is then used to develop more accurate fee estimates and keep matters on budget. While checklists and project plan templates help standardize and streamline contract drafting and review, much of the time-consuming drafting remains in the lawyers’ hands. Standardizing contract language and workflow generated an excellent opportunity for enterprising individuals to automate contracts. Limited automation (for example, through mail merge macros) has existed for many years. More recently, sophisticated and easy-to-use document assembly tools have emerged. Document assembly tools enable users to answer a questionnaire asking for information about the transaction, such as parties’ names, deal type, currency, and closing date, and with the click of a button the deal information is incorporated into the applicable template to generate a first draft. While lawyers still must massage their agreements to ensure that they accurately convey the particular circumstances of each case, these technologies significantly advance the drafting process. The time spent drafting massive agreements for complex transactions, often containing only slight modifications, is greatly reduced. That said, one downside is that these technologies require much effort and time to create templates and questionnaires. While the end user’s experience is relatively simple and seamless, the logic required to create the underlying questions is not always intuitive. An understanding of the underlying law is needed to create the templates and most lawyers have neither the requisite patience nor time to code documents. So, many law firms still struggle with how to automate their model document collections. And, once the models are automated, how will law firms maintain and update them? Will history repeat itself, this time with coded model agreements languishing? In the march toward greater efficiency, still more emphasis is being placed on technology’s role. Some of the newest technologies have moved beyond automation and into machine learning and artificial intelligence. Most notably, contract analytics tools that are learning the language of contracts are being used in a number of interesting ways. Some businesses are using these tools to analyze their day-to-day contracts by, for instance, triaging routine contracts, identifying problem clauses, and highlighting when legal counsel should be called. Law firms have started using contract analytics tools for reviewing hundreds or thousands of documents as part of due diligence. Even with the aid of a model agreements and checklists, reviewing key clauses in numerous contracts is labourious and time consuming. Contract analytics tools can quickly identify the contracts from the mounds of data room documents, classify the key clauses in them, and produce an easily digestible summary for the lawyer’s review – all within minutes or hours instead of days or weeks. While these technologies remain a far cry from robots replacing lawyers, they do provide the information required for quick and effective issue spotting. Contract drafting and review has evolved from a seemingly bespoke practice into an increasingly automated, computerized, and commoditized process. So, where are we headed? Standardized Technology. Using automation and artificial intelligence tools to create first drafts and initially review contracts will become routine as technologies become easier to use and better supported. Companies offering these tools may well consolidate or industry leaders may expand their offerings to include all-in-one, one-stop-shop contract management systems. New Legal Skills. Lawyers will need to develop a solid understanding of these technologies as they become a standard part of the contract process. Law schools will offer programs to provide graduates with basic knowledge of and skills using the range of tools available. Law societies will also specify a minimum level of technical proficiency that lawyers must possess to practice law. New Roles and Mixed Professions. Lawyers will work more closely with technologists and other professionals to optimize the contract process. As tools and practice evolve, new hybrid roles that combine law, technology, and process improvement will develop. Fewer Lawyers Required. Smaller teams of lawyers will be able to complete larger and more complex contract-related work. For instance, teams of junior lawyers conducting due diligence reviews will be replaced by one or two lawyers overseeing a computer-based document review. The volume of day-to-day contract review will also be reduced as businesses use these new tools to conduct initial assessments and identify problematic agreements requiring legal advice. Greater Access to Legal Review. For a subscription or fixed fee, smaller businesses and individuals will have access to tools that can provide them with basic advice on routine contracts, enabling these groups to obtain previously unavailable legal advice. Of course, contracts are but a subset of the overall practice of law. That said, the evolution of contract law provides a useful case study that may apply to the legal profession as a whole. The practice of law clearly is changing. As new processes and technologies develop at a rapid pace, these changes bring opportunities for lawyers ready to adapt. Not only will lawyers have the opportunity to improve legal service delivery, but also to free themselves from much of the mundane tasks and focus their time on work that can add significant value.